Dr Wong graduated with a Bachelor of Health Science (Nursing) from the University of Sydney with distinction. She later went on to obtain a Master of Education (Early Childhood Education) and received her Doctor of Philosophy from the National University of Singapore. 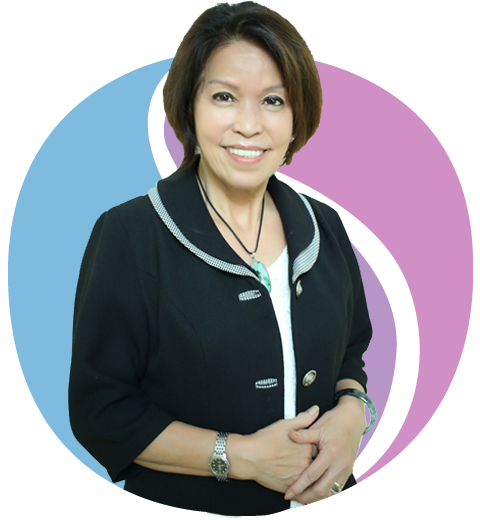 Well-known as the Baby Whisperer and now the Founder of Wong Boh Boi Pte Ltd.
Possesses multiple professional certifications and qualifications, specialising in nursing, lactation, midwifery, childcare and enhancing brain development in babies. Spearheaded and participated in many research studies. Headed the Nursing Education department and established the Parentcraft Centre of a hospital. Pioneered baby and children massage as a tool for parents to soothe and bond with their babies. Pioneered the training of confinement nannies, domestic helpers and primary care givers. Received multiple prestigious awards for her superior service quality, contribution and dedication to healthcare. Frequently invited as a guest speaker at public seminars and conferences and featured in media to share about her knowledge in pre and post-natal topics. Dr Wong has one philosophy that she aims to live by everyday – to empower every mother to breastfeed if she wants to. Breastfeeding is thought to be a natural act for mothers and babies, but it comes with practice and through bonding between the mother and the baby. Whether you are a first-time parent or already a “trained” parent, we aim to help every parent build confidence as you embark on your parenthood journey from pregnancy to childbirth and beyond, by sharing comprehensive and intimate information about pregnancy, childbirth, breastfeeding and baby care. Our classes are uniquely crafted and designed with the immense amount of experience which Dr Wong has over the years. Her passion for teaching ensures that every parent goes home with extensive knowledge and skills so that the child can get the best care.